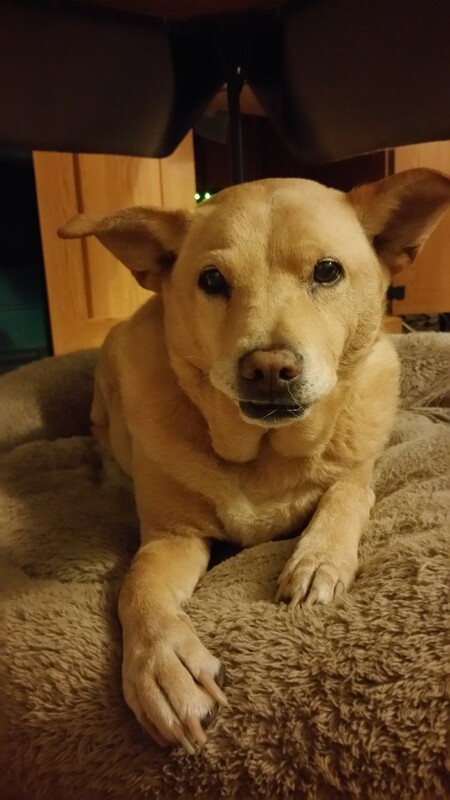 Two weeks after her diagnosis, my dog rallied for several weeks. Each extra day was a gift! If your friend lost a beloved pet (or person), remember that grief is the body’s natural (though awful!) response to losing someone with an emotional connection. Huh? Didn’t I just contradict myself? Yes. Pets are not people. Their bodies have different biological rhythms, their life spans (for most species) will run out long before their humans’ lives do, and they are 100 percent physically dependent upon the people who care for them. Kind of like children. Their bodies have developing biological rhythms that differ from those of their parents (think of newborn sleeping, eating, and um, diapering needs), their life spans (with tragic exceptions) will outlast their parents’ lives, and for years they are 100 percent physically dependent upon the people who care for them. As we care for our pets, our children, our elderly relatives, our spouses, and our family-by-choice friends (whose bonds of kinship in some cases exceed those crafted in blood or in law), we join our hearts, minds, and extremities (hands, paws, wingtips, scales, fins …) with theirs. We and they become family. We serve them, they serve us. We love them. And when they leave us, they take that joined part of our hearts, our minds, and even the feelings of our extremities with them. As with other losses we’ve experienced, we can draw upon our own pain to help us better understand those who are mourning. But we must never, ever compare our losses or one-up “my grief is harder than your grief.” Ever. I’m mourning my dog. Every part of my house and every part of my day reminds me of her absence. It HURTS. But as much as I love and miss her, this grief is not the same grief I felt after my husband’s death or my mother’s. It’s a different, less intense grief. And yes, each “new” grief brings back a degree of the shock and the pain of each “old” source of bereavement. Several people who dearly, deeply love their pets made comments they intended to help (but that did the opposite). When I needed to express my grief over the man who fathered my children, I didn’t appreciate hearing anyone say they “knew” how I felt because they’d had to put down a sick dog once several years earlier or they were dreading “going through” what I was experiencing when the inevitable happened to their pets. Comparing losses or rushing to “replace” those we’ve loved doesn’t work. Think of it like this: Would it be better to lose your dominant hand or one of your legs? Which of your senses would you choose to lose? Who would you prefer to mourn when death steps into your circle of loved ones? All loss hurts. All grief has to be worked through. Be there with them. Bring tissues or chocolate or music or whatever your friends will find soothing. Send word. Drop a line of text, a Facebook comment, an email, or (gasp!) an actual note or letter. They’ll be appreciated. Many of my kind human friends have already done that for me. I thank you. You are amazing, and your compassion has brought sweetness into my saddened heart as I mourn my beloved, ever-faithful fur friend. “Helping Your Child When the Family Pet Dies” by the ASPCA includes some validating suggestions and further links at the bottom of its page.